The holiday season is still a few months away but we can always start preparing for it in advance. And if you have a few guests staying at your house this holiday season, you should consider having extra beds at home. An inflatable airbed is a great option to consider as you can get it ready for your guests in a few seconds and not much preparation is needed for their happy sleep. Fortech Airbed (Queen) with an AlwayzAire Pump from Bestway is one of the greatest top-tier airbeds you can find at Walmart for $139. I received this airbed recently and here are the highlights which make this airbed special! This queen size Fortech airbed measures 80in. x 60in. x 17in. 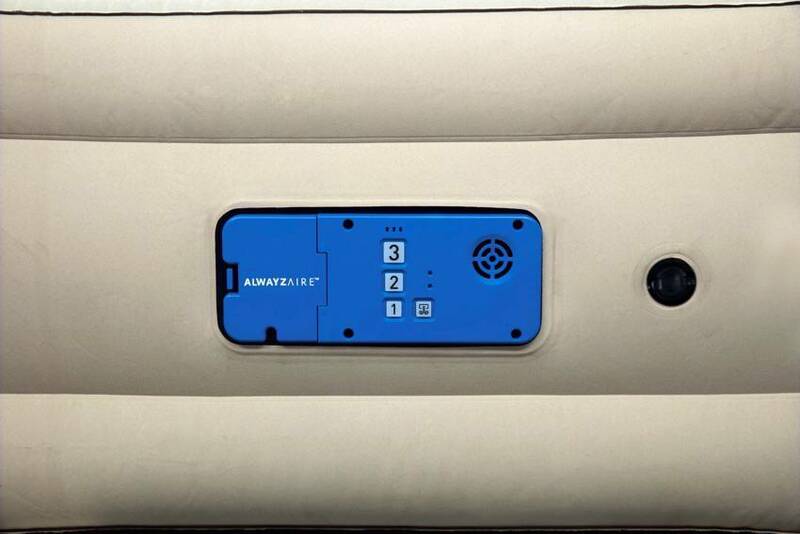 a d includes built-in 110-120V~ electric AlwayzAire pump (ETL approved) which continuously monitors and maintains air pressure. Fortech Airbed is 75% more puncture resistant and 150 times more impervious to scratches than a normal PVC airbed. The airbed has canvas-feel fabric top, sides, and bottom with sturdy Y-beam construction for comfort and support. It has unique rib and surround frame design which offers advanced support and helps to eliminate roll offs. It has a built-in AlwayzAire pump which helps to inflate the bed in just 150 seconds. The pump panel is clear (soft back light which displays even in the dark room), user-friendly and can be operated with just one click. The airbed firmness has three options. The internal sensors detect air pressure continuously and the silent pump maintains the firmness of the mattress throughout the night. Once you are done using the airbed, you can deflate it and include it in the carrying bag for easy transport and storage. I have personal experience using this airbed and it works great. Though I plan to keep it aside and use for my holiday guests, I couldn't help trying it. All I can say is it is a great mattress with many wonderful features. Fortech Airbed Queen With Built-in Alwayzaire Pump is here to provide a great night sleep to you and your guests. Go get it for this holiday season and let your guests enjoy a good night sleep. 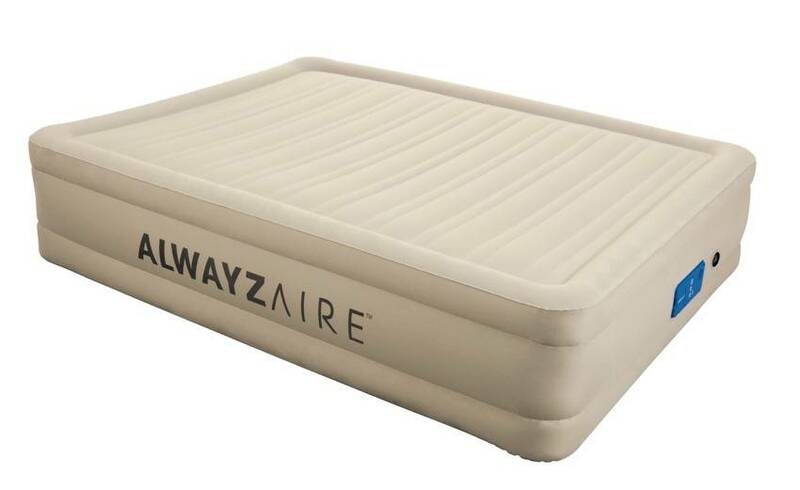 Purchase an ALWAYZAIRE bed from Walmart.com or Walmart. Bestway will be picking 5 winners September 15th. Good luck to all of you!